IDFA is back in town. The Amsterdam documentary festival is for the 10th time home to Doclab, where it’s all about undefined non-fiction storytelling. You can experience 30 differing, interactive projects for free in the expo at the Brakke Grond. In one word: disturbing. This VR experience brings data visualation to the next level. The news bombards us daily with death rates, but those numbers have no emotional urgency. 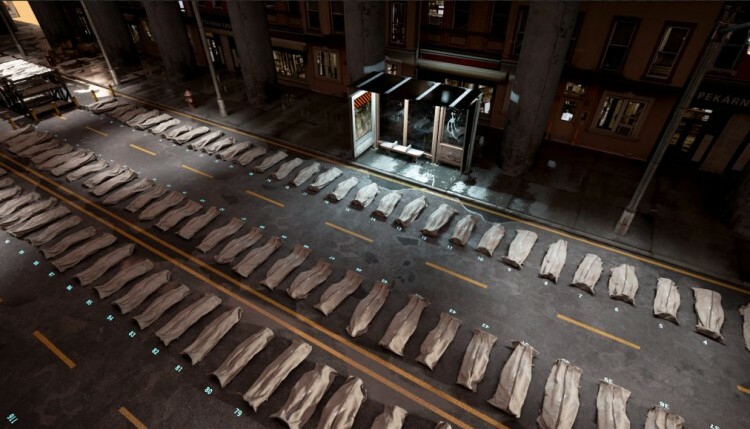 Now they do, you can actually see the body bags around you (as in the header image), you can count the bodies. Dozens, hundreds, thousands of refugees drowned in the Mediterranean sea, hundreds of thousands Syrian civic war casualties. DeathTolls is visually strong, but it is mainly the factuality that grabs you by the throat. This is one of the best VR experiences that I have ever seen, repulsive and real. Experience what it is like to be colorblind, just like the majority of the population of a small island in Micronesia. 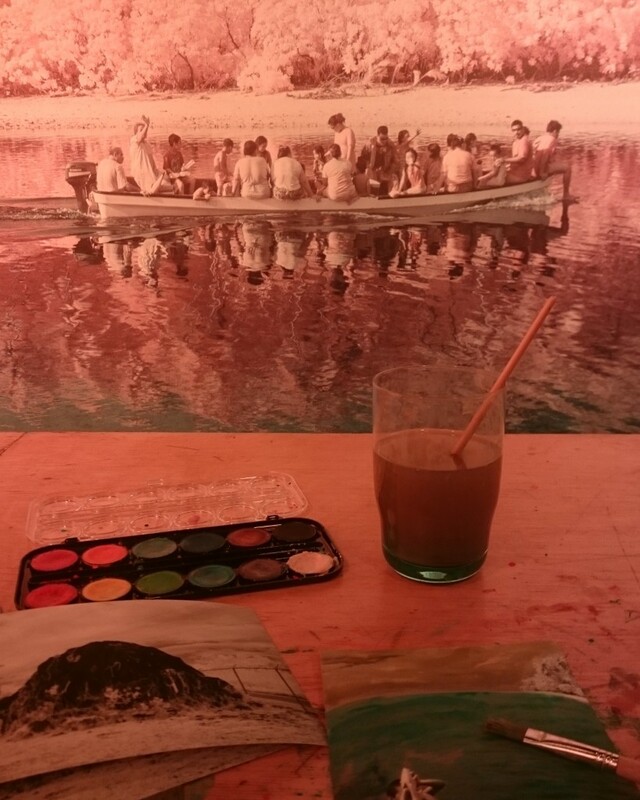 While listening to the story of the islanders, you can paint one of the beautiful pictures. Thanks to the changing light in the room your perception of color changes. Can you paint with the colors of your mind? This interactive web animation tells the personal story of the artist’s grandfather and his dementia. Scroll through his life with fading memories of both funny and sad moments. Just beautiful. Try it out? You can still visit Doclab at the Brakke Grond. Daily from 9 to 21 until Sunday, november 27.